It would be presumptuous to think that I could adequately summarize a very active year of evolution among a huge inventory of search technologies. This entry is more about what I have learned and what I opine about the state-of-the-market, than an analytical study and forecast. The weak link in the search market is product selection methods. My first thought is that we are in a state of technological riches without clear guideposts for which search models work best in any given enterprise. Those tasked to select and purchase products are not well-educated about the marketplace but are usually not given budget or latitude to purchase expert analysis when it is available. It is a sad commentary to view how organizations grant travel budgets to attend conferences where only limited information can be gathered about products but will not spend a few hundred dollars on in-depth comparative expert analyses of a large array of products. My sources for this observation are numerous, confirmed by speakers in our Gilbane conference search track sessions in Boston and San Francisco. As they related their personal case histories for selecting products, speakers shared no tales of actually doing literature searches or in-depth research using resources with a cost associated. This underscores another observation, those procuring search do not know how to search and operate in the belief that they can find “good enough” information using only “free stuff.” Even their review of material gathered is limited to skimming rather than a systematic reading for concrete facts. This does not make for well-reasoned selections. As noted in an earlier entry, a widely published chart stating that product X is a leader does nothing to enlighten your enterprise’s search for search. In one case, product leadership is determined primarily by the total software sales for the “leader” of which search is a miniscule portion. Don’t expect satisfaction with search products to rise until buyers develop smarter methods for selection and better criteria for making a buy decision that suits a particular business need. Random Thoughts. It will be a very long time before we see a universally useful, generic search function embedded in Microsoft (MS) product suites as a result of the FAST acquisition. Asked earlier in the year by a major news organization whether I though MS had paid too much for FAST, I responded “no” if what they wanted was market recognition but “yes” if they thought they were getting state-of-the-art-technology. My position holds; the financial and legal mess in Norway only complicates the road to meshing search technology from FAST with Microsoft customer needs. I’ve wondered what has happened to the OmniFind suite of search offerings from IBM. One source tells me it makes IBM money because none of the various search products in the line-up are standalone, nor do they provide an easy transition path from one level of product to another for upward scaling and enhancements. IBM can embed any search product with any bundled platform of other options and charge for lots of services to bring it on-line with heavy customization. Three platform vendors seem to be penetrating the market slowly but steadily by offering more cohesive solutions to retrieval. Native search solutions are bundled with complete content capture, publishing and search suites, purposed for various vertical and horizontal applications. These are Oracle, EMC, and OpenText. None of these are out-of-the-box offerings and their approach tends to appeal to larger organizations with staff for administration. At least they recognize the scope and scale of enterprise content and search demands, and customer needs. 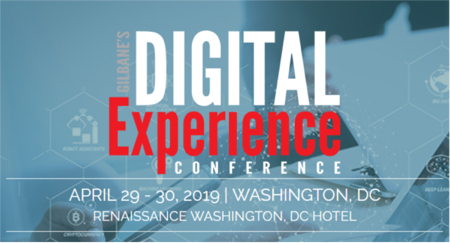 On User Presentations at the Boston Gilbane Conference, I was very pleased with all sessions, the work and thought the speakers put into their talks. There were some noteworthy comments in those on Semantic Search and Text Technologies, Open Source and Search Appliances. On the topic of semantic (contextual query and retrieval) search, text mining and analytics, the speakers covered the range of complexities in text retrieval, leaving the audience with a better understanding of how diverse this domain has become. Different software application solutions need to be employed based on point business problems to be solved. This will not change, and enterprises will need to discriminate about which aspects of their businesses need some form of semantically enabled retrieval and then match expectations to offerings. Large organizations will procure a number of solutions, all worthy and useful. Jeff Catlin of Lexalytics gave a clear set of definitions within this discipline, industry analyst Curt Monash provoked us with where to set expectations for various applications, and Win Carus of Information Extraction Systems illustrated the tasks extraction tools can perform to find meaning in a heap of content. The story has yet to be written on how semantic search is and will impact our use of information within organizations. Leslie Owens of Forrester and Sid Probstein of Attivio helped to ground the discussion of when and why open source software is appropriate. The major take-way for me was an understanding of the type of organization that benefits most as a contributor and user of open source software. Simply put, you need to be heavily vested and engaged on the technical side to get out of open source what you need, to mold it to your purpose. If you do not have the developers to tackle coding, or the desire to share in a community of development, your enterprise’s expectations will not be met and disappointment is sure to follow. Finally, several lively discussions about search appliance adoption and application (Google Search Appliance and Thunderstone) strengthen my case for doing homework and making expenditures on careful evaluations before jumping into procurement. While all the speakers seem to be making positive headway with their selected solutions, the path to success has involved more diversions and changes of course than necessary for some because the vetting and selecting process was too “quick and dirty” or dependent on too few information sources. This was revealed: true plug and play is an appliance myth. What will 2009 bring? I’m looking forward to seeing more applications of products that interest me from companies that have impressed me with thoughtful and realistic approaches to their customers and target audiences. Here is an uncommon clustering of search products. Multi-repository search across database applications, content collaboration stores document management systems and file shares: Coveo, Autonomy, Dieselpoint, dtSearch, Endeca, Exalead, Funnelback, Intellisearch, ISYS, Oracle, Polyspot, Recommind, Thunderstone, Vivisimo, and X1. In this list is something for every type of enterprise and budget. Business and analytics focused software with intelligence gathering search: Attensity, Attivio, Basis Technology, ChartSearch, Lexalytics, SAS, and Temis. Comprehensive solutions for capture, storage, metadata management and search for high quality management of content for targeted audiences: Access Innovations, Cuadra Associates, Inmagic, InQuira, Knova, Nstein, OpenText, ZyLAB. Content Classifier, thesaurus management, metadata server products have interplay with other search engines and a few have impressed me with their vision and thoughtful approach to the technologies: MarkLogic, MultiTes, Nstein, Schemalogic, Seaglex, and Siderean. Search with a principal focus on SharePoint repositories: BA-Insight, Interse, Kroll Ontrack, and SurfRay. Finally, some unique search applications are making serious inroads. These include Documill for visual and image, Eyealike for image and people, Krugle for source code, and Paglo for IT infrastructure search. This is the list of companies that interest me because I think they are on track to provide good value and technology, many still small but with promise. As always, the proof will be in how they grow and how well they treat their customers.